Thousands of electric scooters accessed through a mobile application: that is the value proposition of the California start-up Bird, worth more than $2 billion after one year of existence. Thanks to a business model that employs digital technologies, Bird’s service has been rapidly adopted on a massive scale, and the company is currently collecting billions of data points about our movements. How can public authorities support rather than suffer the impact of these new services? In the streets of Santa Monica, California, within only a few months, a new means of transportation has spread like wildfire: the electric scooter. It’s impossible to walk 200 meters without seeing one lying on the sidewalk or seeing someone ride by with this latest means of transport. These scooters are available on every street corner and are very easy to use. All you have to do is install an application on your smartphone and register. You then use your phone to scan the QR code on the handlebars and you’re off. With one dollar you can travel more than a mile. You’ll find these scooters next to shared bicycles; however, unlike bicycles, which must be returned to a specific docking point, you can leave the scooters anywhere. It’s an amazing phenomenon: hundreds of people are using them. Walking around, you see people of all ages activating this new means of travel with their smartphones. Connect to the application and you will realize that these scooters are truly everywhere: a hundred scooters within a 500 square-meter-radius around your position with a battery level indicator for each one of them. The pledge made by these companies: avoid traffic jams, promote non-motorized mobility and reduce environmental impact. In Santa Monica, two companies currently share the public space: Bird and Lime. These start-ups were created in 2017 and are already valued at $1 billion each! Bird raised $400 million in a round of funding in June to support its growth. Every day, you can find them next to bus stops, an indication that commuters are using them for the first and last miles of their commutes. They are combining these scooters with public transport instead of driving. In a city like Los Angeles, where the car is king and buses are empty, this seems to be an appealing alternative which could save commuters a lot of time avoiding traffic jams. This rapidly spreading new service forced the authorities to react quickly. The way public space is shared needs to be rethought: these electric scooters travel at almost 30 meters an hour, making them too dangerous for use on sidewalks. Sharing bicycles lanes with bicycles has proven to be complicated. Caught unprepared, authorities have initially reacted by imposing bans. Every morning at the edge of the beach, Santa Monica road staff put up signs indicating that the use of these scooters in areas reserved for bicycles and pedestrians is prohibited. These new services challenge a legal framework that is often simply not yet defined. The sign banning electric scooters soon reminds me of the one banning the use of drones. One interesting solution to avoid confrontation and conflict with authorities is to pass experimental legislation known as a regulatory sandbox. This makes it possible to support change and establish collaboration between these new players in the digital economy and regulators. The objective is to understand all of the issues in play and to establish a framework that preserves the common interest. The regulatory sandbox entails the authorization of the service over a certain perimeter and for a limited period of time. This solution is already in place in several regions: in Singapore, it is being used to accelerate innovation in the energy sector. In England, financial authorities are using it to introduce new and innovative financial services offered by start-ups in the field (fintech). In the case of electric scooters, a collaborative and experimental approach with authorities would allow the following solution to emerge: in high-risk areas where the authorities do not want scooters to be used, a geofencing solution can be implemented to block the operation of the scooter when it enters these areas. This would be much more effective than prohibition signs and police repression. For Bird, it would mean a simple software update. These scooters can be abandoned anywhere, which is very convenient for the user, but the companies operating the service are obliged to collect them at the end of the day. As a result, companies like Bird have to hire people to pick up the scooters at nightfall – a new type of employment. There is a historical precedent: when street lighting first appeared, people were hired to light the gas streetlights. In 2018, a new type of worker is starting work at the end of the day – this time to move electric scooters. Wikipedia tells us the following about the job of lamplighter: „The job of lamplighter is one of the most precarious, since it is subject to bad weather, and is supplemented by other lucrative activities.“ So it seems that history is repeating itself, even in the digital era. Ultimately, companies like Bird accumulate billions of data points about our movements and habits (where we work, when we leave, which stores we stop at on our way). 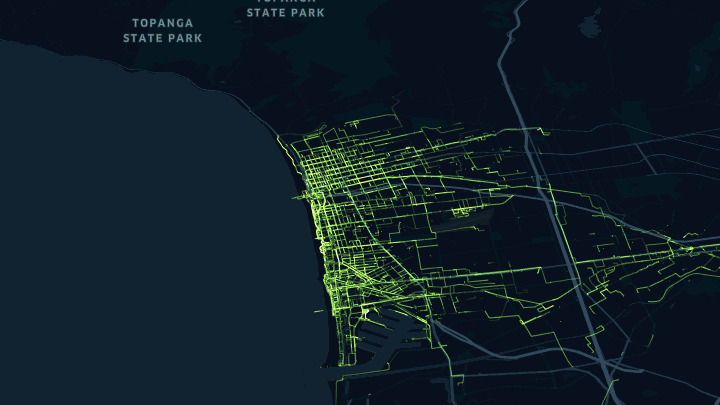 What will Bird do with all this accumulated data on our movements? Investors are betting they’ll use it to make a lot of money – after just one year of existence, they have valued the company at $2 billion. Die Digitalisierung vereinfacht unseren Arbeitsalltag, indem sie Prozesse verschlankt und Abläufe automatisiert. Ein Überblick über vertraute und kommende Anwendungsszenarien. Wir rufen ein Unternehmen (den Maler, das Kleidergeschäft, aber auch den Arzt) nicht mehr an, sondern schreiben ein E-Mail, eine Chat-Nachricht oder füllen ein Kontaktformular online aus. Wir bestellen Produkte vom Apfel bis zum Apple online, unabhängig vom Standort des Anbieters. Das gilt im B2C- wie im B2B-Umfeld. Die Plätze im Restaurant reservieren wir über die App auf dem Smartphone. Das ERP des Produktionsbetriebs ist direkt mit der Lagerbewirtschaftung des Lieferanten verbunden. Alle diese Szenarien haben drei Gemeinsamkeiten: Erstens vereinfachen sie die Abläufe, indem sie manuelle Schritte obsolet machen. Zweitens steigt der Informationsgehalt. Und drittens beschleunigt sich die Kommunikation. Doch so richtig die Muskeln spielen lässt die Digitalisierung erst, wenn verschiedene Systeme und Geschäftsanwendungen zusammenspielen. Diese Integration ist kein neuer Trend. Seit es Business Software gibt, gibt es auch Bestrebungen, einen Datenaustausch zwischen den Systemen zu gewährleisten. Aber bislang scheiterten diese Bemühungen oft an fehlenden Schnittstellen, inkompatiblen Dateiformaten oder schlicht und einfach an der Tatsache, dass die Anwendungen nicht vernetzt waren. Der elektronische Zahlungsverkehr ist also ein gutes Beispiel dafür, wie die Digitalisierung Prozesse vereinfacht, Abläufe automatisiert und damit die Fehlerquote senkt. Doch es geht noch mehr über den reinen Datenaustausch hinweg. Daten und Anwendungen sind zentral in einem Rechenzentrum gespeichert und überall verfügbar: im Büro, im Homeoffice und auf der Baustelle. Leistung kann nach Bedarf («on demand») bezogen werden, ob es sich nun um mehr Speicher oder zusätzliche Benutzerkonten handelt. Betrieb, Unterhalt und Wartung liegen bei einem spezialisierten Anbieter. Das Unternehmen wird von den üblichen IT-Aufgaben entlastet, und die Ressourcen können ins operative Geschäft investiert werden. Kostentransparenz: Cloud-Dienste werden zu Fixpreisen verrechnet, zum Beispiel pro Benutzer und Monat oder nach Speichergrösse. Doch die Cloud befreit den digitalen Arbeitsplatz nicht nur von der Standortabhängigkeit. Weil Daten und Anwendungen aus ihren Firmensilos befreit werden, wird die Automatisierung von Abläufen vereinfacht. Und weil Cloud-Ressourcen übers Internet zugänglich sind, lassen sich Anwendungen besser integrieren, was für Effizienzgewinne sorgt. Die Anwendungen können miteinander «reden».